"Classical Minnesota Public Radio is our megaphone as musicians. It's our voice that amplifies what we do a thousand-fold. There's no way we could have anywhere near the magnitude of listeners without the radio. As performers, we are aware of that. When we play concerts it's an amazing feeling to know that we are reaching out to so many people across the country." That's my good friend Julia-Bogorad Kogan, an outstanding flutist and principal with the Saint Paul Chamber Orchestra speaking to me earlier this week. She is a familiar face — and a familiar sound — to concertgoers in the Twin Cities. And also to those listening on the radio. 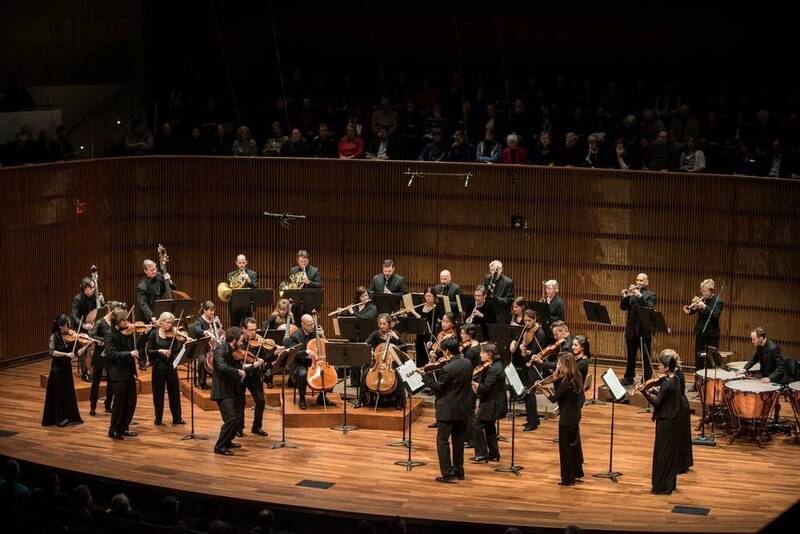 The relationship between Classical MPR and the SPCO has been long and fruitful on both sides. Nurtured from the day we began broadcasting SPCO concerts on air in 1969, just two years after the founding of MPR. That adds up to nearly 1000 concerts recorded, broadcast and made available for on-demand listening from the SPCO Listening Library. Arthur Hoehn was the first host, followed by Dennis Rooney. In 1980, with generous funding from Bob Siversten and Sarah-Maud Weyerhauser, MPR built a state-of-the-art recording studio. The Maud Moon Wayerheuser Studio was built with the SPCO in mind, large enough to accommodate the entire ensemble and with enough microphones and channels to create a beautiful — and acoustically satisfying — sound that would make radio listeners feel as if they were in a concert hall. Bogorad-Kogan played first flute on the first broadcast from the MMW Studio, "Saint Paul Sunday," hosted by Bill McGlaughlin. In the '90s, Michael Barone took over as host of the SPCO broadcasts, presenting the orchestra on air for 22 years. He was instrumental in leading a special on-air plea. In 1993, the SPCO was in danger of closing its doors. So MPR jumped into action. For 24 hours, it was SPCO all day long, playing and talking and asking for help on air. Save Our Symphony set a financial goal that was far surpassed — raising about $750,000 — giving clear evidence to the board and the community that the SPCO was a valuable and irreplaceable asset. Today, the SPCO is recognized as one of the most vibrant orchestras in the world — and we at Classical MPR consider our partnership in recordings and broadcasts valuable on many fronts, for our listeners and for the larger community. We make beautiful music together. Join me as I host a special live concert broadcast this weekend celebrating MPR's 50th anniversary and our partnership with the SPCO. You'll hear music by Tchaikovsky, Rossini, Verdi and a piece perfect for this party: a grand duo for violin and bass by Bottesini. The SPCO and Classical MPR — a Grand Duo! Join Classical MPR host Alison Young on Friday morning at 11 on the Ordway Concert Hall stage. On Saturday evening at 8, she will host live on Classical MPR from the stage.